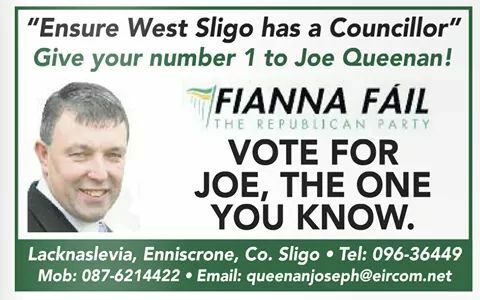 From the 2014 Local Elections a newspaper ad for Joe Queenan who was running for Fianna Fail in Ballymote Tubbercurry. He polled 1,116 votes and held his seat. He has since resigned from Fianna Fail.